Hugh Raffles has won one of ten Whiting Awards given to emerging writers. 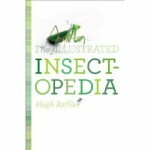 His new book Illustrated Insectopedia is due out in March 2010. This entry was posted in Press Watch and tagged books.